It’s probably the last thing you want to think about before an exciting trip. But if you’re traveling outside of the U.S., Canada, Europe, Australia, or New Zealand, it’s important to make sure your routine vaccinations like polio and measles are up-to-date. Depending on the nature of your trip, you may also need additional shots to protect against other diseases. "If you’re going to major cities and staying in high-end hotels, that’s one thing," says Edith Mirzaian, Pharm.D., who oversees the USC International Travel Clinic and is an assistant professor of clinical pharmacy at the University of Southern California in Los Angeles. 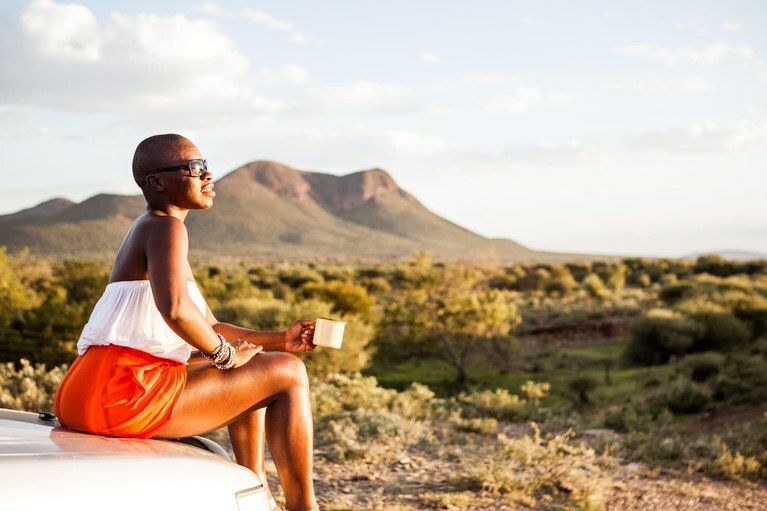 But more remote types of travel could require additional vaccinations, especially if you're planning on traveling overseas for a longer period of time. She recommends speaking to your healthcare provider or a licensed travel clinic about which shots you might need at least four to six weeks before a trip. Earlier is even better, though, since some vaccines require multiple doses or may take time to kick in. Here, some of the most common travel vaccinations you may need before a trip abroad. Getting a current tetanus shot may be one of the most important things you do before takeoff: "Most deaths and injuries in travelers abroad occur in motor vehicle accidents," says Mirzaian. "When people come in [to the clinic] that's one of the first things we ask them about.” The bacterium which causes tetanus is found in soil, so if you haven't already gotten the vaccine, it's a good precaution after any incident when your skin has been broken. The Tdap vaccine protects against tetanus as well as diphtheria and pertussis (whooping cough), which are also smart to be vaccinated from: Large outbreaks of diphtheria have occurred in Indonesia, Thailand, and Laos in recent years, and pertussis is common worldwide. Who should get it: Adults should get at least one dose of the Tdap vaccine every 10 years, says Mirzaian. Although polio has been eradicated in the U.S., it still exists in some parts of the world. Even if you had the polio vaccine as a child (the vaccine has been widely available since 1955), you could need a booster if you're traveling as an adult. Who should get it: "We usually don't give the polio vaccine to adults," says Mirzaian. "The only time is if they are traveling to parts of the world where it's endemic." The polio virus, which causes the potentially fatal disease, still exists in Afghanistan and Pakistan. If you've never been vaccinated against polio, you should get all three vaccines in the series before travelling to these countries. Hepatitis A, a gastrointestinal illness that’s transmitted through contaminated food, water, and soil, is thought to infect as many as 10 million people worldwide each year. "It’s easy to get," says Mirzaian. "There are only seven places in the world that Hepatitis A is not endemic. We recommend the Hepatitis A vaccine for people traveling to most parts of the world." Who should get it: It's a good idea for anyone traveling anywhere other than Canada, Western Europe and Scandinavia, Japan, New Zealand, and Australia, but areas with increased risk include Asia, Africa, South America, Latin America, and the Middle East. Depending on which type of Hepatitis A vaccine is used, you will need either one or two doses. The vaccine takes two to four weeks to take effect. Because Hepatitis B is spread through blood and body fluids, it is harder to get than Hepatitis A. But it’s still out there, mostly in developing countries, but some developed ones as well. Many people who contract Hep B clear the infection on their own, but others develop chronic infection, which can lead to liver failure, liver cancer, and even death. Who should get it: People who are going abroad on medical missions or relief missions should make the Hep B vaccine a priority, as should people who anticipate having sexual encounters with new partners, says Mirzaian. Yellow fever, which is transmitted through mosquito bites, can cause relatively mild illness or can lead to liver and kidney failure. The 17D vaccine, which protects against yellow fever, is one of the few vaccines required to enter certain countries, especially in Africa and Central and South America. You need to get it at least 10 days before leaving the U.S., and you’ll need proof in the form of a stamped vaccine certificate. Only clinics registered with the Department of Health and Human Services can administer the vaccine. Who should get it: Anyone traveling to an area considered high risk for yellow fever transmission, or to a country that requires it before arrival. One dose covers you for life and most countries consider a vaccination certificate to be valid forever. Measles has made a comeback in certain parts of the world—including the U.S.—because fewer people are getting the vaccine. Most U.S. measles outbreaks are started by unvaccinated people who are traveling or returning stateside. The disease is spread easily through coughing and sneezing and can be passed to another person even before the hallmark rash has appeared. Some 20 million people get measles every year around the world. Who should get it: If you haven’t been vaccinated as a child or haven’t had the actual illness (which gives you immunity), you should get the vaccine. It’s included in the MMR (measles-mumps-rubella) vaccine and requires two doses, the second at least 28 days after the first. Typhoid, an extreme form of salmonella, is spread through contaminated food and water and, occasionally, through contact with an infected person. There is both an oral vaccine and a shot. Protection from the shot declines over time. Who should get it: The highest risk for typhoid is in South Asia, although Africa, Latin America, and other parts of Asia also carry risk. The vaccine is recommended for people staying in high-risk areas for more than a month and for those traveling to areas with antibiotic-resistant strains of the bacteria. Japanese encephalitis, a cousin of the West Nile virus, is spread through mosquito bites. Severe cases can cause swelling around the brain and potentially death. The mosquitoes that carry the virus thrive in warm climates, and Japanese encephalitis is actually more common in South Asia than in Japan. Who should get it: "The need for that vaccine really depends on the exact location where the person is traveling and how long they’re staying," says Mirzaian. "It [can be] a very serious disease so if someone is at risk for it we highly recommend it." Travelers who are going to rural areas of Asia for longer periods of time are considered most at risk. The vaccine requires two doses over four weeks, the last one at least 10 days before you leave. Like Hepatitis A, cholera is transmitted through infected food and water and is common in areas with poor sanitation and water filtration. Cholera can cause severe diarrhea, which leads to potentially fatal dehydration. The FDA recently approved Vaxchora, the first vaccine available in the U.S. to protect against cholera caused by serogroup 01 (the primary cause of the disease worldwide), for adults aged 18 through 64 years traveling to cholera-affected regions. Who should get it: "Cholera is not as much of a concern in most traveled areas," says Mirzaian. "Most travelers would not encounter the disease because they don’t often go to places that are so remote there’s no access to clean water." The exception to this, she says, is anyone traveling to disaster-struck areas where clean water is scarce, such as emergency and relief workers. Few international travelers need the rabies vaccine, even though rabies is found naturally everywhere except Antarctica. However, Britain, Australia, New Zealand, and many other countries and localities around the world have been able to stay rabies-free. Who should get it: With the exception of these areas, the risk is about the same anywhere you travel and you’re only likely to be at risk if you’re visiting rural areas and/or coming into contact with animals. "This is not relevant to general traveling [except] for people doing things like cave diving, spelunking, or cave hiking,” says Mirzaian. That’s because these environments often harbor bats, which can carry rabies.